Multi-Color Wallet Cases for iPhone & Samsung Only $9.74 Shipped! 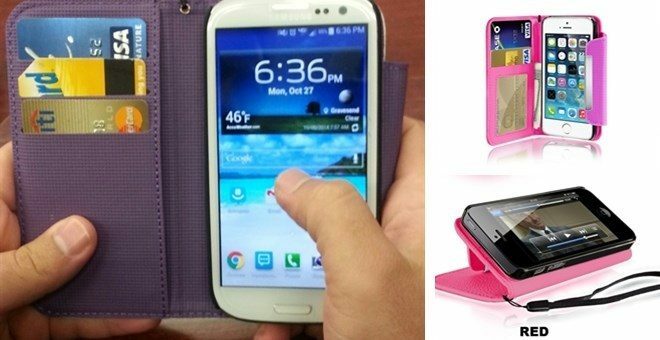 You are here: Home / Great Deals / Multi-Color Wallet Cases for iPhone & Samsung Only $9.74 Shipped! This case features a flip cover with magnetic closure and will protect your valuable phone from bumps and drops as well as dust! The Multi-Color Wallet Cases for iPhone & Samsung Only $9.74 Shipped comes with a magnetic closure for security, 2 credit card compartments and 1 cash pocket!